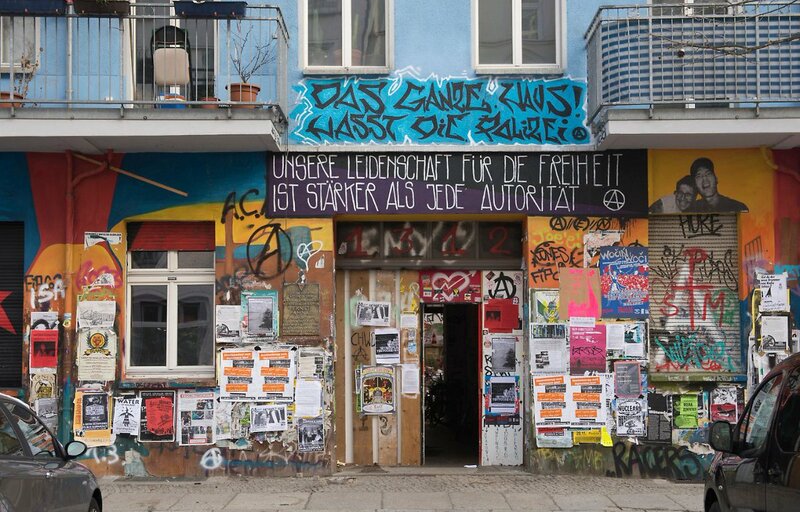 Berlin: Statement by Rigaer 94 about new eviction threat against the Kadterschmiede. 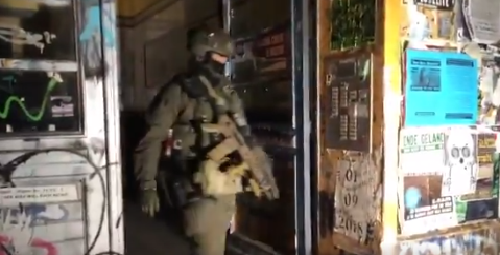 On the 15th of November, five hundred cops, including special forces with assault rifles, attacked Rigaer94 to make a house search in the case of a trouble in a shop some month before. The investigation is labeled as „robbery and bodily harm“. First statement after this mornings police raids in Berlin. 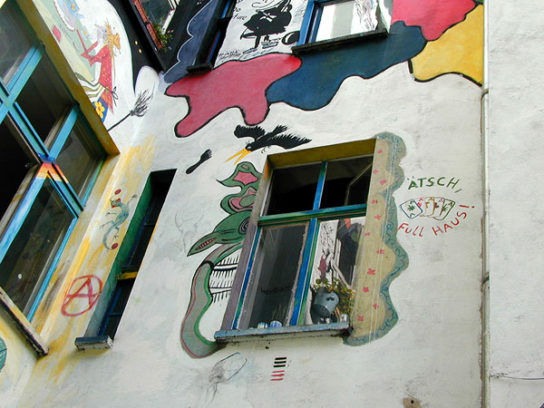 Several apartments and the Rigaer 94 squat were raided by 500 cops and an SEK anti-terror squat. 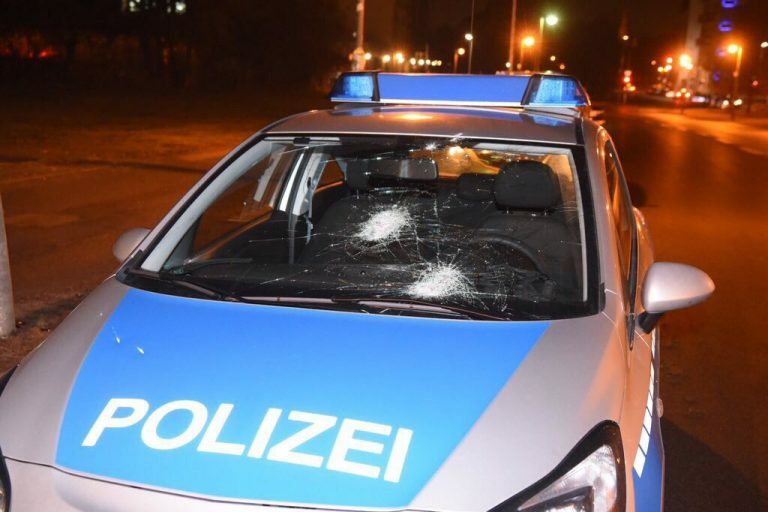 Today the chaos and discussion days in Berlin will end. 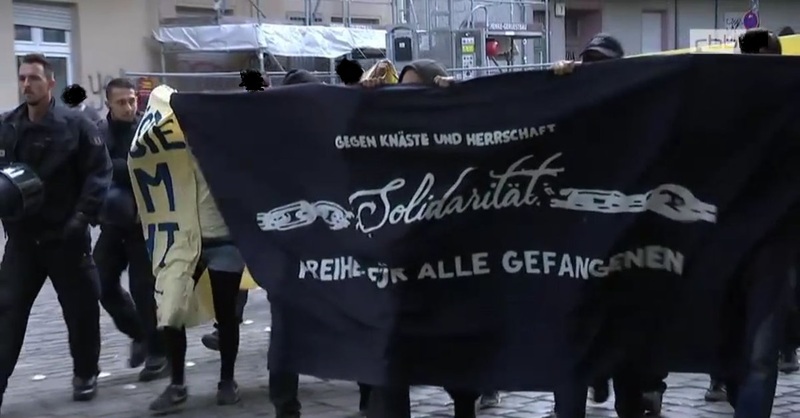 Last night there was an unregistered demo for a revolutionary solidary world in solidarity with anarchist prisoners and against the police raids earlier this week. 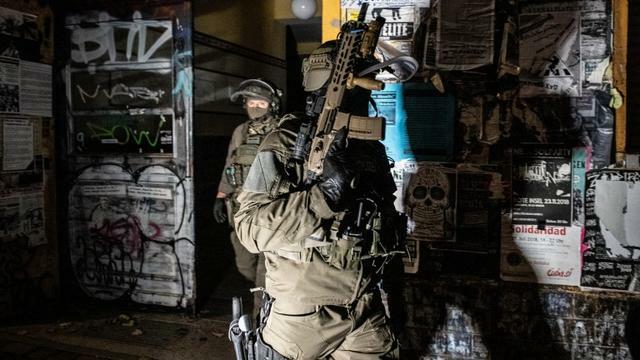 Three weeks ago the current reinforcement of the siege of Berlin-Friedrichshain’s Nordkiez culminated in yet another crazy raid in Rigaer Str. 94, at the center of the so called “danger zone”. Two residents were imprisoned. The riot police is nearly 24/7 stationed in front of the squat and they make checkpoints in different streets. Undercover cops try to infiltrate the area. 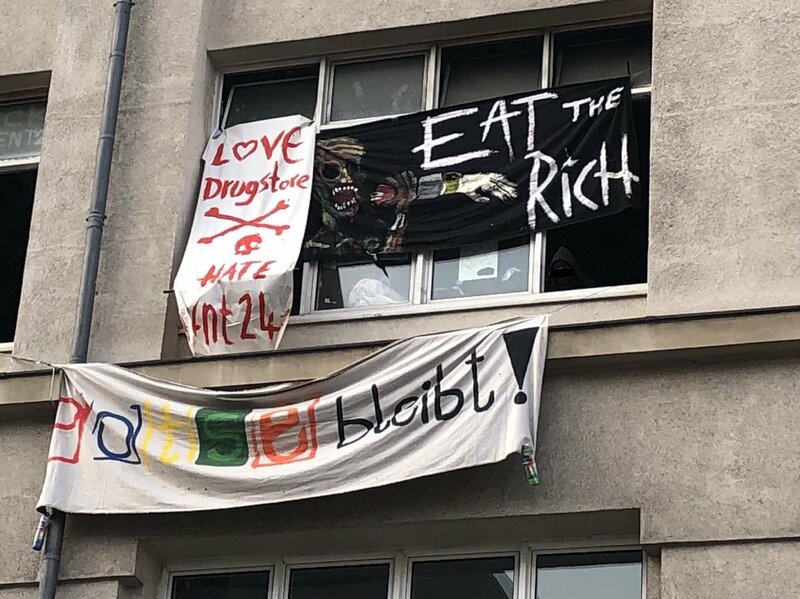 “OUR IDEAS ARE NON-NEGOTIABLE” – Courtdate in the eviction case against the groundfloor of Rigaer 94. 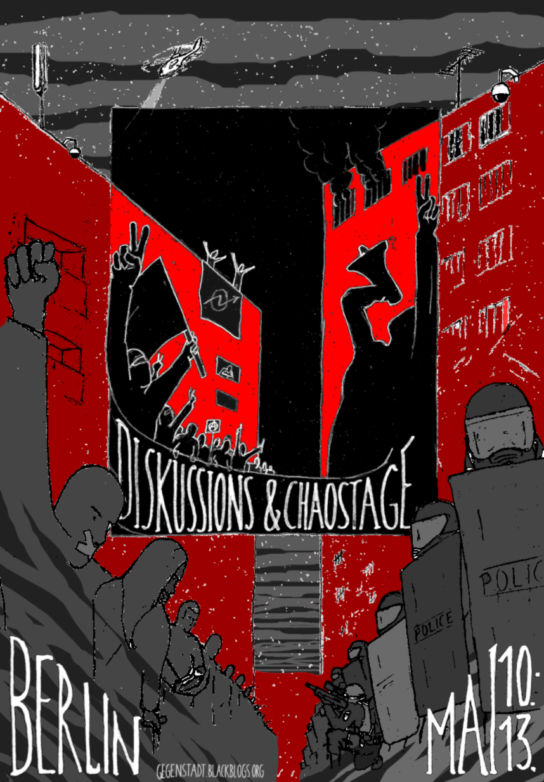 Between the 10th and 13th of Mai the Chaos- and Discussiondays are taking place in Berlin. Quite a few things are already being planned.